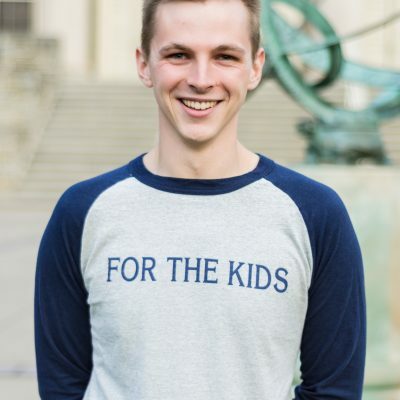 When I decided to stay an extra year to pursue a math degree, I knew that I wanted to stay heavily involved in THON. I didn’t decide that I was going to apply to be a Director until THON Weekend 2018. The day before it started, I was tasked with designing a new way to track the receipts from the Merchandise Committee’s sales throughout the weekend. I stayed up really late that night trying to make the perfect Excel sheet. Thankfully, everything went very smoothly that weekend and we were able to reduce our error to a negligible amount! It was during this time that I had my first real exposure to the operations of the Merchandise Committee. After THON Weekend I sat down with several Merchandise Captains and a few Directors to try to uncover more improvements that could be made. At last I decided to go for it! What are your main duties as the Merchandise Director for THON 2019? My main duties as the Merchandise Director for THON 2019 involve pushing the committee towards better business practices. I am focusing a lot of my time on improving the way that we track inventory and increasing our online sales. Additionally, I am interested in engaging the volunteers and getting a sense of what types of merchandise people want to see in the store for this year! My favorite THON memory has to be the Monday of the THON 2018 One Day Campaign. So many organizations and independent dancer pairs had gone canvassing that weekend that we spent twelve hours counting all of the money by hand. It was incredible to be able to handle the tangible representation of an entire university’s dedication to such an important cause. I was able to leave the HUB that night knowing just how important even the most tedious of tasks are to the overall success of THON.